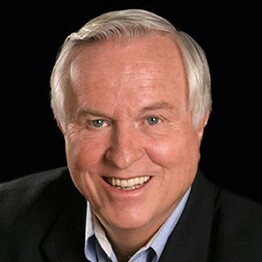 Josh McDowell, M.Div., considered himself an agnostic as a young man. He truly believed that Christianity was worthless. However, when challenged to intellectually examine the claims of Christianity, Josh discovered compelling, overwhelming evidence for the reliability of the Christian faith. After trusting in Jesus Christ as Savior and Lord, Josh’s life changed dramatically as he experienced the power of God’s love. After his conversion, his plans for law school turned instead to plans to tell a doubting world about the truth of Jesus Christ. In 1961, Josh joined the staff of Campus Crusade for Christ International. Not long after, he started the Josh McDowell Ministry to reach young people worldwide with the truth and love of Jesus. Well known as an articulate speaker, Josh has addressed more than 25,000,000 people, giving over 27,000 talks in 125 countries. Since 1960, Josh has authored or co-authored 148 books, with two more being released in the fall of 2017, in 128 languages. In addition to many other awards, Josh has been nominated 36 times for the Gold Medallion Award and has received that award on four occasions. In spite of all the honors and awards he has received, Josh will tell anyone that his greatest joys and pleasures come from his family. He and his wife, Dottie, have been married 46 years and have four children and 10 grandchildren.